The company's latest project will see a new hyperscale campus built at 400 South Bullard Ave in Goodyear. Compass says the site could potentially offer 180MW of power capacity, with 60MW available on day one. The upcoming campus benefits from three diverse fiber paths and brand new power infrastructure, including a substation adjacent to the site. 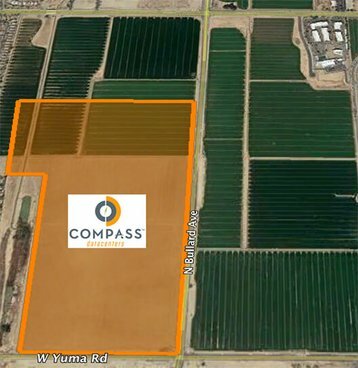 Goodyear is an increasingly popular location for data centers: just a week ago, Vantage Data Centers announced that it purchased land for a 160MW colocation campus, just a few miles away from the Compass site.